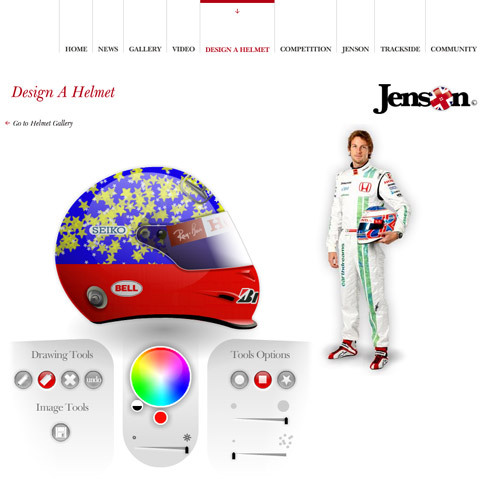 Made live last month a small on-line app created in Flash that let’s you ‘Design a helmet’ for Jenson Button. 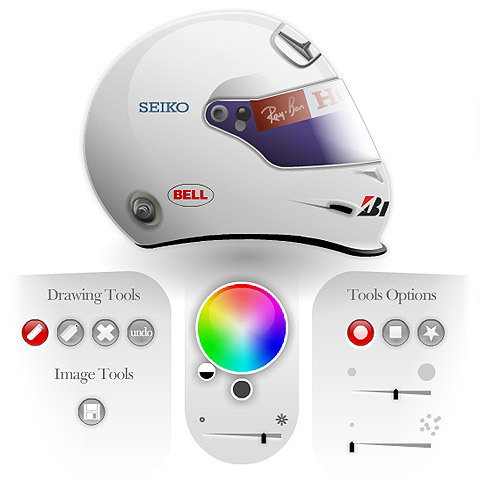 Created at Outside Line, Users can use the tools to paint design’s onto the helmet and then save their creations on the site. By Electrolyte Posted in web, work You can follow any responses to this entry through the RSS 2.0 feed One Comment	Responses are currently closed, but you can trackback from your own site.